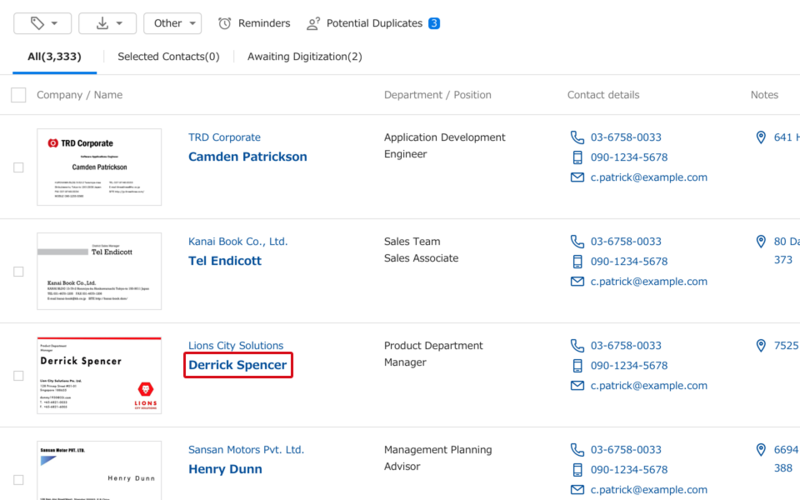 Here we will show you how to access the Details about this person screen, on which all the information had about this person is displayed as a list. There are two ways to access it. 2. Viewing from the images on the Business card list. Click on the Name link on the Business card list, and it will come up. 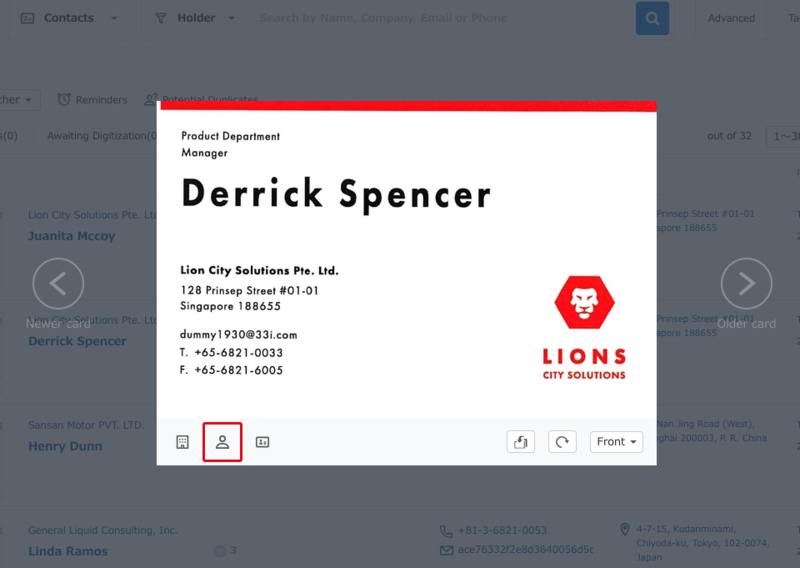 Enlarge the image of the business card on the Business card list, click on the Person button, and it will come up.